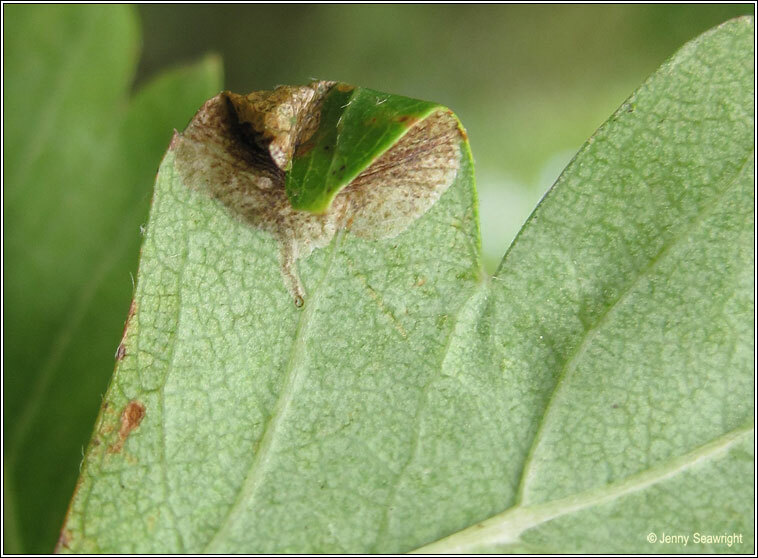 Leaf mine photographs on Hawthorn, Crateagus monogyna. 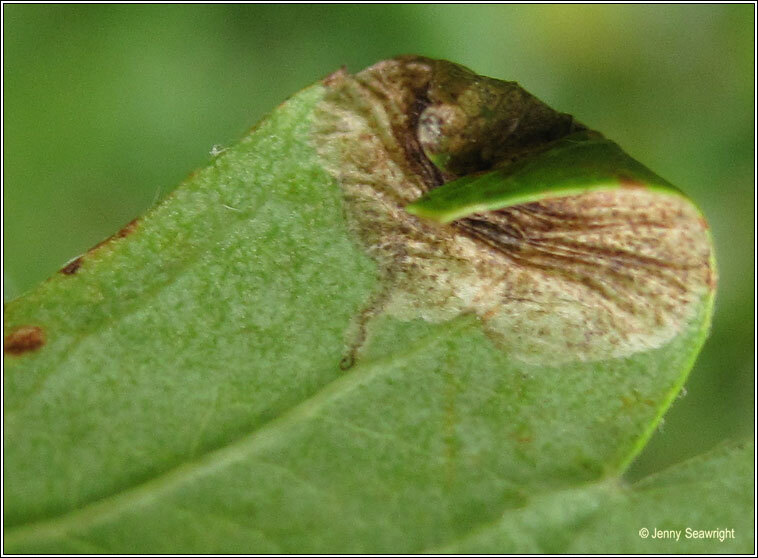 Egg underside of leaf. A small, lower-surface corridor leads to a blotch in a lobe tip. 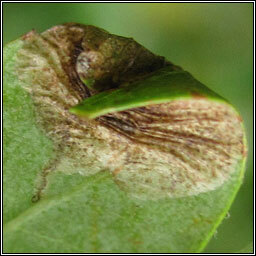 Lower surface is wrinkled rather than clearly folded, the frass in loose grains.